New illustration for new blog entry on Higher Dark rachelhwhite.wordpress.com/201…the-agency-of-monsters talking about agency as in a person or character's desire, freedom and ability to make choices and affect their life, or in the case of a fictional character, affect the plot of the story. Got me thinking about certain monstrous and mystical characters in stories, so I explore the idea. 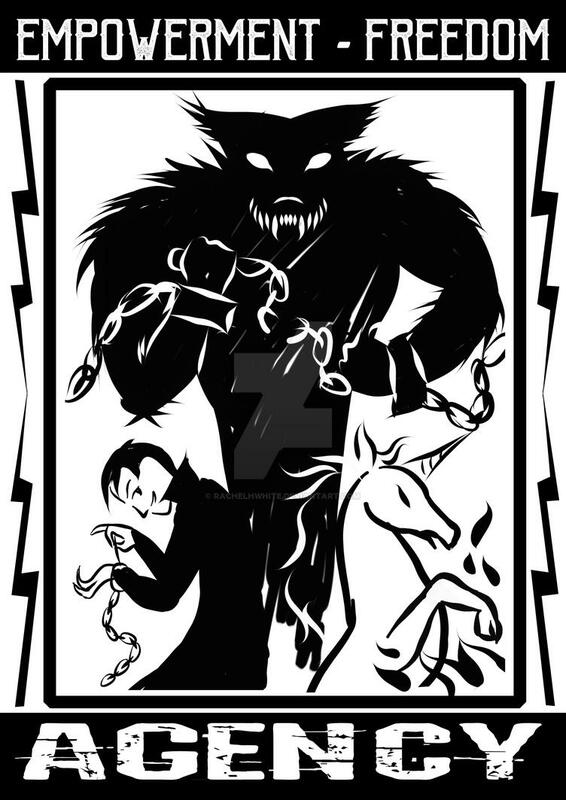 A propaganda poster style just seemed ideal when I got the mental picture of the werewolf breaking free from chains. I don't usually use words in my blog illustrations, but I thought it was worth it just this time.